Successful communication is the key to an efficient business. The SDW 5000 Series sets a new sound standard with super wideband audio and high-quality stereo sound, offering a sound experience beyond conventional business standards. Two microphone noise-cancelling system and pioneering voice detection technology deliver exceptional sound for improved speech intelligibility in noisy environments. Answer all calls from a single device. 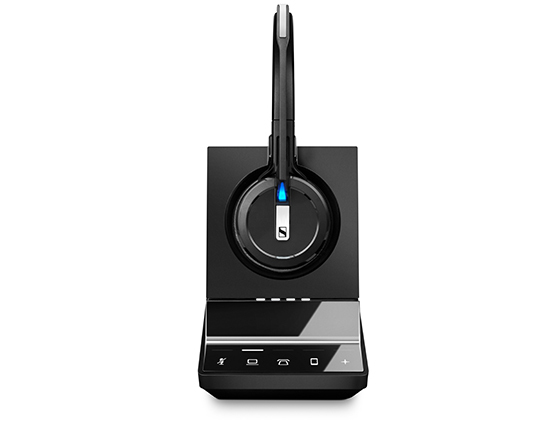 With up to triple connectivity for softphone/PC, desk phone and mobile devices. 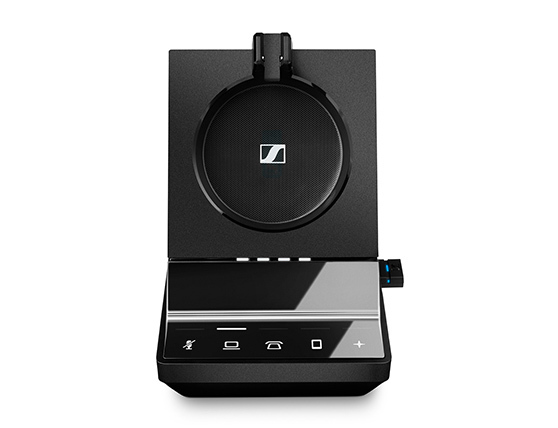 Use the base station as a gateway to your preferred audio sources. 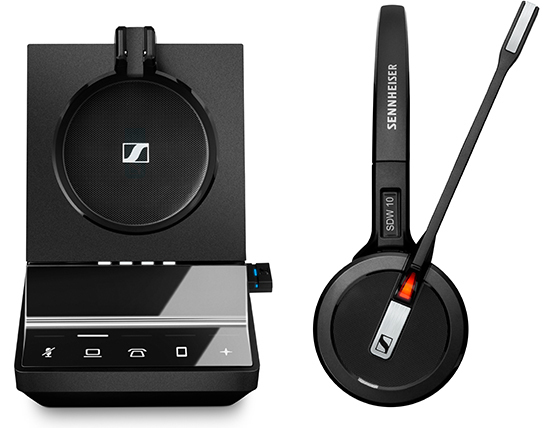 With a choice of wearing styles – double-sided headband, single-sided headband, ear hook and neckband, SDW 5000 series delivers a perfect customized fit. Security is a primary concern for a company’s IT manager. 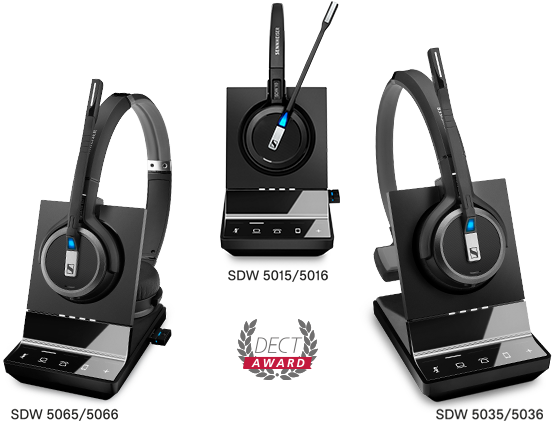 DECT Security certified, the SDW 5000 Series’ enhanced security features 128-bit authentication and industry-leading Protected Pairing technology to keep communication confidential. The USB port for Bluetooth® can be disabled in restricted areas. Smart features make seamless collaboration and communication super-efficient as the headset and base station controls deliver easy call management. 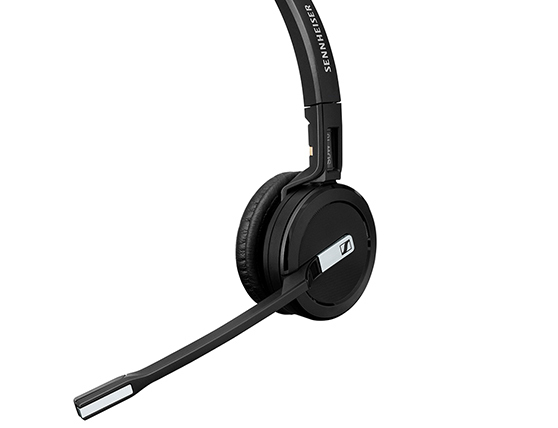 The busy light on the headset helps users to remain undisturbed during calls and soft leatherette ear pads provide all-day wearing comfort and effective noise damping. Naturally, the SDW 5000 series is UC optimized and certified for Skype for Business. You can even charge your mobile from the USB port. Modern office workers require mobility in the office and the ability to hold ad hoc collaborative meetings. Using multiple devices and often sitting at different desks, today’s knowledge workers demand a flexible, personal communication solution that simply works. SDW 5000 helps them meet the future prepared with the ultimate business communication tool. 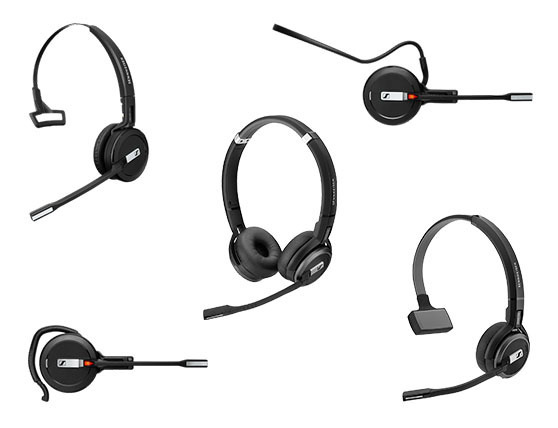 All your devices connect seamlessly through one single headset system. Advanced security protocols keep your conversations confidential.